Greyhounds are leading the fashion pack in a unique campaign by Italian fashion house Trussardi. Man’s best friend has become the model for the brand’s spring/summer 2014 collection, tipping them as the coolest companion for the season ahead. The clan behind the business, which is over a century old, takes great pride in keeping it the family. Therefore, when it came to celebrating the 40th anniversary of the label’s greyhound logo – created by Nicola Trussardi in 1973 – Creative Director Gaia Trussardi cast her own canine. 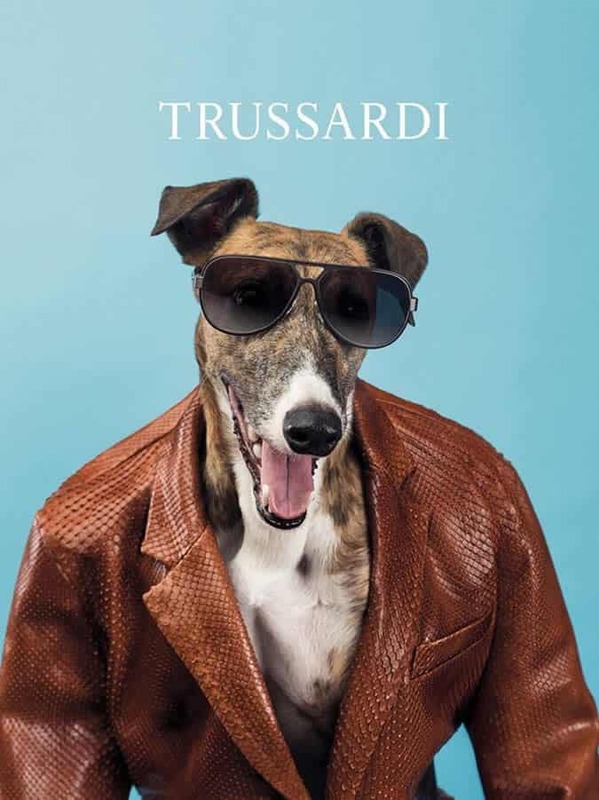 In the series of images shot by conceptual artist William Wegman, Trussardi’s greyhound stars alongside other well-groomed mutts wearing stand-out pieces from the new apparel and accessories line. A fine leather blazer and a polished rucksack are both among the items sported by the pooches. With a career spanning over fifty years, it’s no surprise that this isn’t the first time the 70-year-old has worked with dogs. Wegman is well known for his anthropomorphised portraits of Weimaraners. As such, the artist paid tribute to his own for Swedish Label Acne’s guerrilla spring/summer 2013 advertising campaign, last year. Many menswear insiders will liken the images to ‘Menswear Dog’; the blog of a four-year-old shiba inu living in New York. Along with his twitter and Instagram profile, Bodhi dons the latest menswear looks thanks to his generous and creative owners. A behind-the-scenes clip of the fashionable dogs in action can be seen below. The SS14 collection from Trussardi will be available later in the year.